Four great little home decor shops big on style feature unique items and specialty design services for today’s lifestyles. Vintage shopping just got a little more fun! 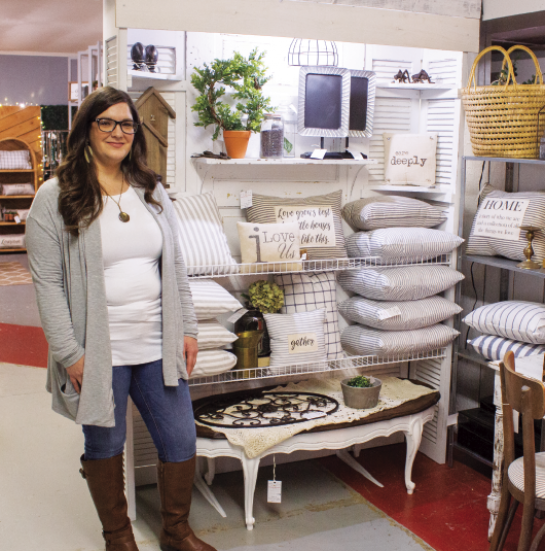 Femmesleigh Design, located inside Kings Antiques and More, offers vintage décor and furniture, vintage-inspired décor and handmade items, such as signs and pillows. Leigh also sells Country Chic Paint so that her customers may choose to refinish their own pieces. She’ll be offering monthly beginner painting workshops soon to help instruct customers on DIY projects. Leigh’s husband, Al, is co-owner of Femmesleigh Designs and can often be seen hauling and building by her side. “He’s my number one supporter,” Leigh said. Femmesleigh Designs is located inside Kings Antiques and More at 102 Kings Hwy. in Shreveport. They’re open Monday through Saturday from 10 a.m. to 5 p.m. For more information, follow them on Facebook & Instagram @ Femmesleigh. Laurie Gautreau, owner of Gautreau Gallery, is making Shreveport-Bossier beautiful, one room at a time. A retailer of lighting, art, home décor, furniture, rugs and accessories, Gautreau Gallery also offers the talents of interior designers. Gautreau is one of those designers, alongside Jennifer Monarch. She also couldn’t be a success without her store manager, Leslie Davis. 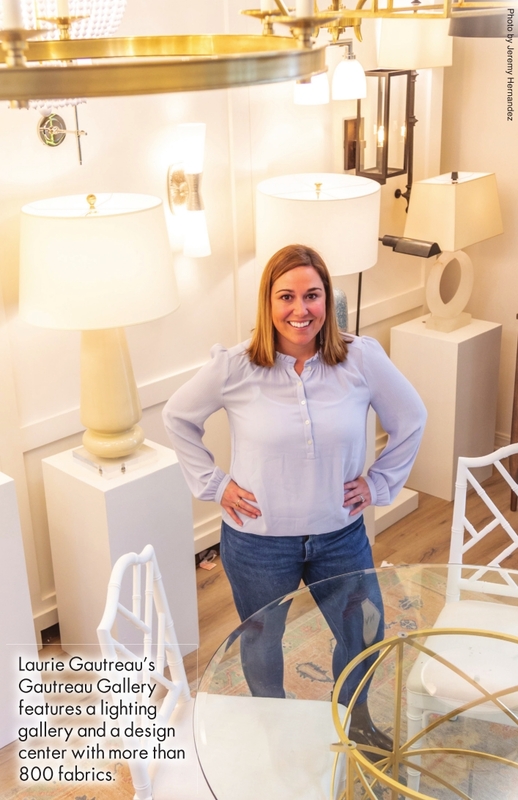 “My favorite part of our store is the beautiful light fixtures you see right when you step into the shop,” Gautreau said. Design has been Gautreau’s passion for a long time. After opening a design studio in 2017, Gautreau’s clients encouraged her to go into retail and open a store. When the space below her office became vacant, she quickly realized it would be ideal. Gautreau Gallery is located in Pierremont Common in Shreveport at 6505 Line Ave., Suite #22. They are open Monday through Friday 10 a.m. to 5 p.m. and on Saturdays by appointment only. 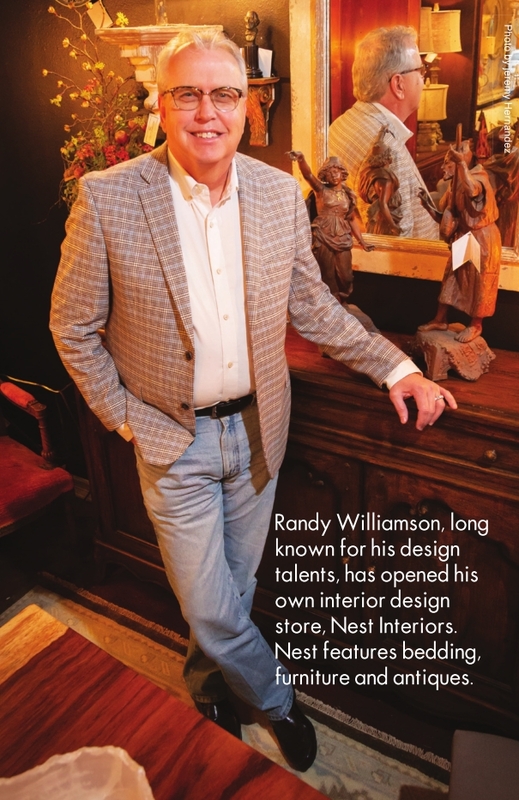 Randy Williamson, long known for his design talents, has opened his own interior design store, Nest Interiors. Nest features bedding, furniture and antiques. Laurie Gautreau’s Gautreau Gallery features a lighting gallery and a design center with more than 800 fabrics. Nest Interiors Interior Design & Decoration sells beautiful furniture, bedding, window treatments such as draperies and shades, unique accessories, antiques and more. Randy Williamson, owner of Nest Interiors Interior Design & Decoration, is a Louisiana registered interior designer. The former coowner of Designers Showroom, Williamson branched off to form his own firm. He now works alongside design consultant Jackie Gorman. They provide a team of experienced and award-winning designers ready to transform homes and professional projects into welcome spaces. Nest Interiors Interior Design & Decoration is the perfect spot to find a new sofa, a unique bed, a perfect lamp or a fresh tablescape setting. “We have it all,” Williamson promised. His personal favorite of his products is the washable bedding line. “I also love mixing Italian and French accessories with my furniture lines,” Williamson said. When asked about future goals for the store, Williamson kept it simple and sincere. “I just still hope to be doing the same thing that I’ve been doing for the past 38 years – making beautiful rooms,” he said. Nest Interiors Interior Design & Decoration is located at 6030 Line Ave., Suite 230 in Shreveport in Evangeline Square. They’re open Monday through Friday from 9 a.m. to 5 p.m. and Saturday by appointment. 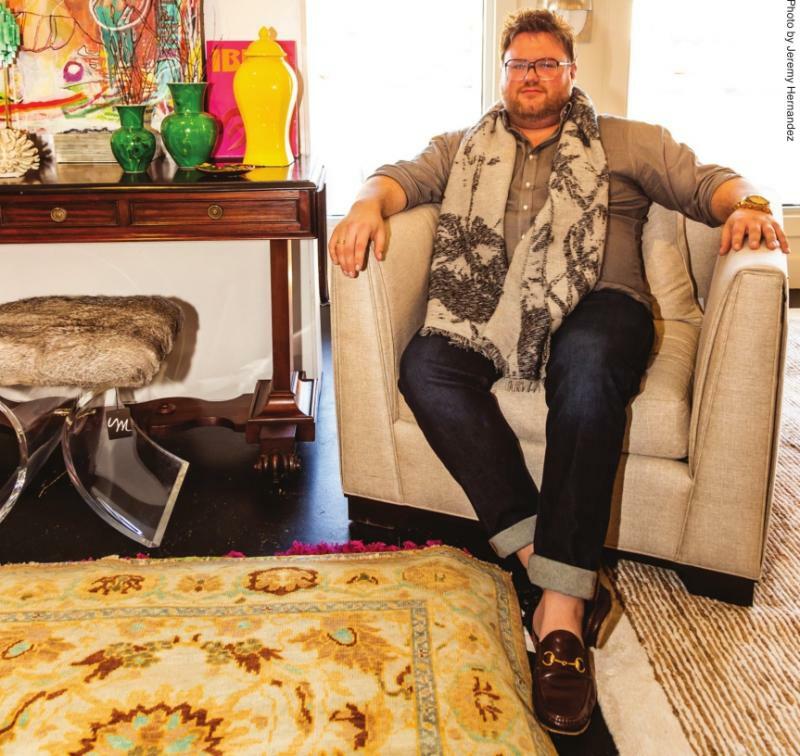 Maxie Home, owned by Cole Baker, is a local shop that sells furniture, art, lighting, accessories, Oriental rugs and unique gifts. They also offer full-fledged design services. The store is named after Cole’s beloved grandmother, and the logo is her signature, captured via cards and letters. He did exactly that and has had great success thus far. But he couldn’t do it without the help of his head employee, Donna Craig, and, of course, his store mascot – a poodle named Rose. “Maxie Home is special in that I carry things you won’t find elsewhere in Shreveport,” Baker said. “I try very hard to make sure the lines and items I carry are not carried by anyone else in the area.” His favorite element of the store is his design studio. Maxie Home is located at 5910 Youree Drive in Shreveport. They are open Tuesday to Friday from 10 a.m. 6 p.m. and Saturdays from 10 a.m. to 4 p.m.